Spring has arrived. Finally. Cherry blossoms along the banks of the Potomac River reassure me of this. SESAH too is abuzz with seasonal activity. Calls for papers for ARRIS and the annual meeting herald our renewal. They are the result of many contributions of SESAH members over the winter months and promise lively architectural adventures ahead. I look forward to our meeting in New Orleans in September 28 – October 1 2016, and I thank all of you who are doing so much to bring it about. SESAH grows through our shared work and characteristic congeniality. Our meetings are collegial intellectual journeys through the built environment. They provide an opportunity to join with longtime friends, interact with new colleagues, and gather in a setting and scale that fosters deeper conversations. I was reminded of this in San Antonio, as I am each time we get together. The San Antonio meeting ushered in new board members and new roles for the many leaders in our organization. Lee Gray completed his term as president. We are fortunate that he remains on the board as past president and that he offers us guidance and good cheer from that seat at the SESAH table. As past president Lee is writing an administrative history of SESAH for our website and drafting proposals for how we may encourage scholarship in and of the region. We thank Lee for all the time spent, travels made, and talents so generously given. I, especially, have been the beneficiary of Lee’s wit and wisdom, as well as that of the board and committee members. We also wholeheartedly thank Anat Geva for her leadership and steadfast support as president and past president of SESAH these last four years. We welcome Gabriela Campagnol, Andy Chandler, Bill Gatlin, Robbie Jones, Bob Kelly, Michael Kleeman, David Sachs, Leslie Sharp, and Kathy Wheeler to the board. By now you’ve seen the work of incoming newsletter editors, Ruben Acosta and Lydia Brandt, who are keeping us connected during the year. Ruben and Lydia are picking up the reigns from the steady hands of Ben Ross, who produced the newsletter for two terms and oversaw our conversion to a fully digital format. Mikesch Muecke continues to weave together our web presence, while the Communications Committee adds to our social media reach through Facebook. Robbie Jones has recently joined this effort. Thank you all. Earlier this year you received the latest volume of ARRIS and been reintroduced to its editors, Robin Williams and Celeste Lovette Guichard, both from the Savannah College of Art and Design. Robin and Celeste are well into production of the next volume, which we eagerly anticipate in the fall. Remember to mark your calendars and polish your conference papers – submissions to ARRIS are due in February each year. Robin and Celeste assumed the journal’s helm from Gregor Kalas and Barbara Klinkhammer, who steered ARRIS volumes 23-25 to press. Many accolades are due to the editors past and present – and they have my appreciation for all they do to give expression to our studies of the architectural landscape. We also thank outgoing board members, including Jennifer Baughn, Clifton Ellis, Anat Geva, Geoffrey Mohlman, Ben Ross, and Robin Williams for their excellent service to SESAH over the years. Happily they haven’t gone far. We also recognize Tara Mielnik for her stewardship of the membership during a transitional period – i.e., the wrangling of our records into a digital format with the assistance of Gavin Townsend and Julia Smyth-Pinney – as well as Daves Rossell for his work on the Publications Committee and Paige Wagoner Claassen for hers on the Best of the South: Preserving Southern Architecture award committee. I am delighted that Clifton and Robin are remaining on the board in new roles, as chair of SESAH Publication Awards Committee and co-editor of ARRIS respectively. In 2016 we invite nominations for the upcoming board, to be elected at our meeting in New Orleans. The states for which board members are completing terms are Louisiana, North Carolina, and Virginia. Please send your recommendations to our vice president, Robbie Jones, at rjones@newsouthassoc.com. Self-nominations are also welcome. Meet you in New Orleans! Program chairs Gerald McNeill and Laura Blokker have planned an exciting conference for us. The call of papers is due March 31, and registration will open this summer. Award committees are now accepting nominations. Please send in your abstract or recommend a project for consideration, or both! Details are elsewhere in the newsletter and on the website (www.sesah.org). Future conferences will take place in Lynchburg, Virginia (2017) and in Manhattan, Kansas (2018) with prospects for gatherings in South Carolina and North Florida in the following years. 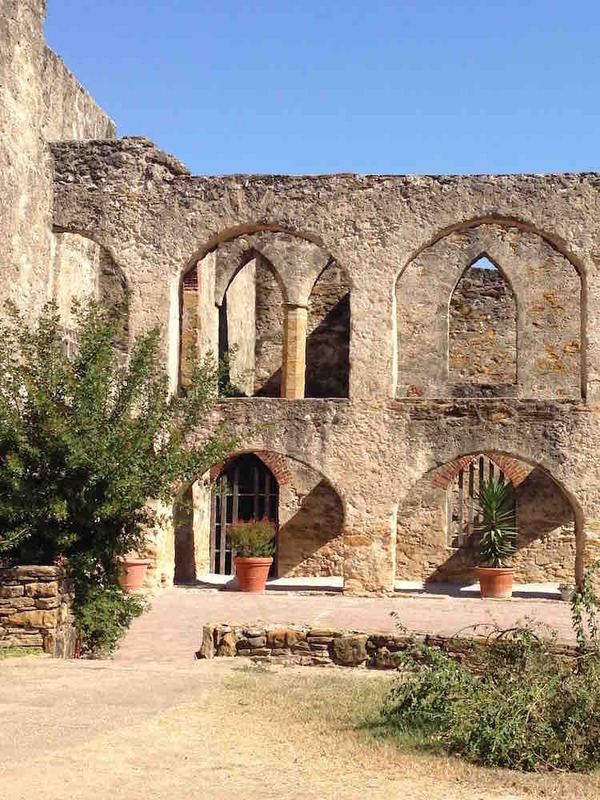 The Southeast is a richly diverse place, as our recent explorations of the modernist enclave in the Ozarks and the old world heritage in San Antonio show. New Orleans builds on those conference experiences and offers its own unique cultural and culinary delights. Come sample them with us, with Tulane University our host and St. Charles our streetcar line. New Orleans is a city whose complexities invite study and reassessment in the wake of Katrina. Today, too, the debate about monuments and memorialization may again bring change to the city’s appearance and associated place names. Join us for lively discussions, and a beignet, as we discover the city’s urban fabric and underlying geography.